At The Sound Vision we have several amazing solutions for taking indoors outdoors. SunBrite outdoor TVs, landscape audio solutions that sound better than your neighbor’s theater, and wireless internet that actually works everywhere on the property. We take pride in designing the best outdoor system for your back yard lifestyle. Be it a cabana or outdoor kitchen we have the technology part covered. with a SunBrite outdoor television. A weather proof TV for year round Michigan usage might seem farfetched but they’re awesome. 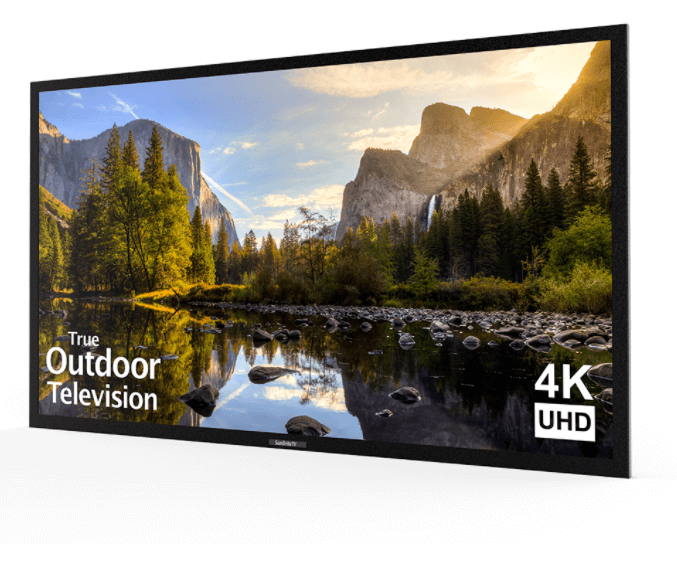 We have 4K UHD super bright outdoor TVs meant to function in July as well as January. 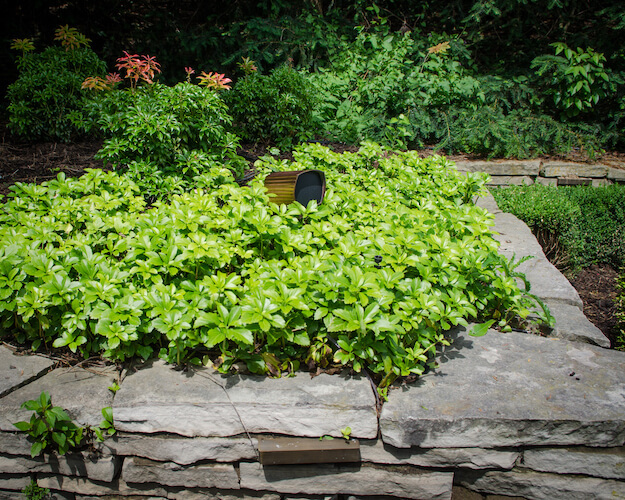 Landscape speakers hang out in flower beds, not on walls. Outdoor trends today allow us to have full-fledged kitchens and 3 season living space. We are here to make those spaces more enjoyable. Be it a TV above your outdoor fireplace or a drop down screen for summer night movies we’ve got you. An outdoor TV is cool but and outdoor surround sound system is amazing. We can do that and make it blend seamlessly with your landscaping. We truly believe life is about creating memories for you and your loved ones. Listen to the Tigers game while you grill or let the kids rock out while they swim. When it comes to outdoor audio the sky is the limit. We have amazing sound systems that range from a traditional looking outdoor speaker to sophisticated multi speaker system that disappear into the landscape. Designing the right outdoor system for your home requires precise speaker selection and layout. Making sure we make magic for your ears and not your neighbors. Outdoor audio is one of our favorite areas of the industry. We are all natives of metro Detroit and truly understand the magic of out brief but enjoyable outdoor season. Having music play in the back ground of your BBQ or pool party makes those actives even more memorable. A simple pair of Rock speakers are all you need to get going. For the music lover we over amazing Hi-Fi systems that sound better than your friends living room. Marine grade components guarantee a lifetime of enjoyment. Interested in outdoor televisions? We are an authorized SunBrite Television dealer. We offer a host of outdoor solutions that include dedicated wireless internet access points to make sure you stay connected. Adding landscape lighting control solutions allows you to set the mood at the touch of a button. (The backyard is lamented in our brains as a place of seclusion and escapism. ) We have partnered with the fine folks at Fleur Detroit at their Bloomfield hills location to showcase nearly all of our outdoor audio solutions. We have our James Loudspeaker landscape audio, Monitor Audio Climate 80, and our rock speakers on display. 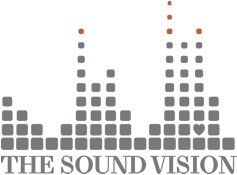 All of these systems are up and running daily and you a free to tour their facility with or without a Sound Vision associate. Outdoor televisions have come a long way in the last few years. The picture quality rivals your indoor television and is glare free! That’s why we’ve partnered with the leading outdoor television manufacturer, SunBrite. Whether we install your television in full sunlight or a shaded area, there’s an outdoor television right for your backyard. 4K Ultra HD Full Shade Outdoor TV – 43″ (Black) $1499. 4K Ultra HD Full Shade Outdoor TV – 55″ (Black) $1999. 4K Ultra HD Full Shade Outdoor TV – 65″ (Black) $3499.